28.00 for an ad card I'm very tempted to buy this and see of this is real. Anyone buy an ad card from eBay? I would not risk it, too many fakes on eBay. I'd rather buy directly from Amazon or samsung.com, it's more $$ but you'd know for sure it's real. As Retinella mentioned, Best Buy has high capacity cards that are legit and usually on sale. And they will price match with amazon. That way you know your getting a legit card at a good price. VDub2174 and Oscar Maradiaga like this. Keep in mind also that not all SD cards are created equal. You could get a legit 256 GB SD card from Best Buy, Target, Walmart, etc. for a lot less than $200, but it won't be as fast as the Samsung one. If you're just storing photos on it it's probably not a big deal. But if you're going to put your apps on the card, this could become a problem because they won't be able to transfer data into RAM quite as quickly, and you'll notice some lag. It's possible that recording or viewing those snazzy new super slo-mo videos on the S9/S9+ might also be slower. 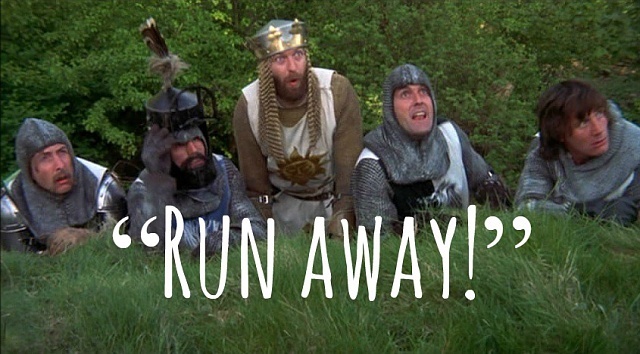 Apologies for the unsolicited advice here. But what you might consider is getting a Samsung 64GB SD card from Best Buy for just $30. It'll give you great read/write speeds, and should have all the storage you need. For what it's worth, I'm an average smartphone photographer, and I have a 256 GB card from the Note 7 promo. I use my SD card to store all the photos and videos I've ever taken with my Note 7, S7 Edge, S8+, and Note 8, as well as the photos I take with my drone, and I'm only at 34 GB. 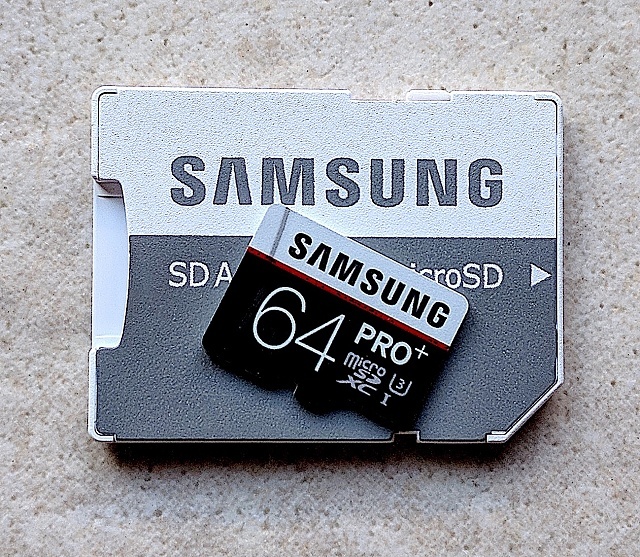 I grant that the S9 is going to have a great camera which will result in much heavier usage, but unless you're a prolific photo-taker I think the 64 GB Samsung card may be your best bet. ...what you might consider is getting a Samsung 64GB SD card from Best Buy for just $30. It'll give you great read/write speeds, and should have all the storage you need. 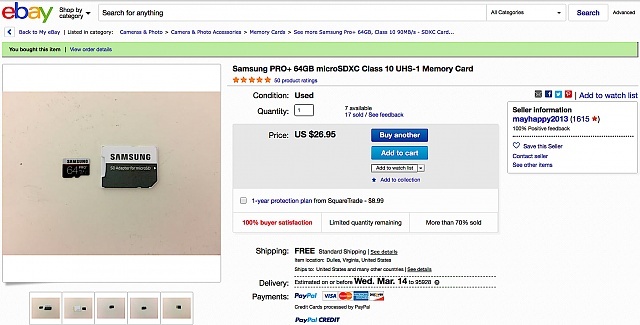 ...yeah, it's used but what the heck, seller has 100% pos/feedback & this 64GB Samsung Pro+ is fastern sheeit ! arrived in 3days not bad...chkd it out (formatted) on my MacProRetina and there's NO probs, the real deal ! nuthn like goin' PURE SAMSUNG all the way ! $26.95 w/free shipping and NO taxes, yesss...sweet ! all i need now is my Purple GS9+ (coming in a few days !!) and i'm ready to rock ! I only buy from Amazon directly, or a fulfilled by Amazon vendor. I've never had any problem cards, and worst-case scenario I can return it for a full refund. A big ebay scam was selling 32G cards as 256G. They were marked as 256G. Some even appeared to format as 256G. It wasn't until the card became full at 32G that you realized you got screwed. The auction in the original post had ONE feedback. Guaranteed scam. I agree, I just got scammed on a "256"that was only 32Gb. my phone screen is broke and i cant put on my pin code what do i do ?